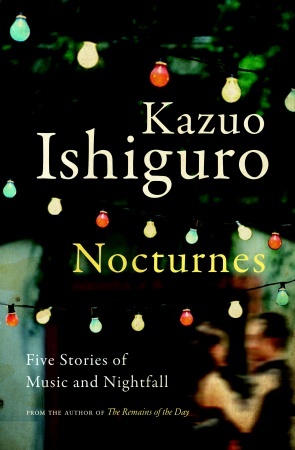 Tomorrow we are reading Kazuo Ishiguro’s short story “Cellists,” from his recent collection Nocturnes, in my graduate class, about a cellist who is tutored by an American woman, Eloise McCormack, who claims that she is a “virtuoso” despite the fact that she cannot play the cello herself – she possesses an “unwrapped” potential, she insists, that will someday be tapped by the right teacher. One of my students, who is talented but has a habit of always putting her foot in her mouth, proclaimed loudly at the end of today’s class that she knows a bit about Ishiguro, not from reading him, but from the fact that I talked about Never Let Me Go in relation to one of our novels last semester. She paused a moment and thought. The point of Ishiguro’s story, of course, is to challenge some prevalent (but false) cultural perceptions about “genius” with which human beings tend to delude themselves. The first is the romantic idea of the “natural” genius, the kind for whose art seems to flow onto the page without any apparent effort. In music, for instance, it might be Mozart, while in literature, the romantics reconfigured Shakespeare – because he did not have a rigorous classical education – in this same mold. It has become one of the great myths of our time that “true” genius comes from a source of in-born talent, not hard work. Hollywood loves to perpetuate this stereotype. How many times do we see Good Will Hunting actually doing some genuine study? When do we see Russell Crowe (as John Nash) hitting the books in A Beautiful Mind? We only ever see the end product of their labors, never the hours and hours of grunt work that are needed to produce it. In part, such films produce this illusion out of a need to provide action over reality (watching someone study is obviously less interesting than dissecting their love life), but this false picture is also clearly an anti-intellectual dig at the academy. The implication is that those other professors, the vast majority laboring away in the ivory tower, are doing so under the delusion that work is important. Genius, these films imply, does not simply make the work easier – it makes it so that there is practically no work at all. The world is revolutionized with the ease of making a sandwich. Work, as such, becomes the hallmark of failure, a sure sign that you are not a genius. It’s a perverse idea that hides an even nastier ulterior implication: that professors who are not hailed as geniuses are second-rate frauds (unless, of course, they are misunderstood geniuses at the heart of the film…). In his poem “Harlem,” Langston Hughes had earlier asked: “What happens to a dream deferred?” Ishiguro asks us to be more specific: what kind of dream are we talking about here? If it is a political dream – as Hughes seems to imply – then it does indeed seem worthwhile to continue pursuing it, for such goals are open to all. But if it a matter of fulfilling a particular kind of dream, then Ishiguro’s point seems to touch on something more difficult and profound. There are few geniuses in this world, and so dealing with failure at some point in our lives is something that we must all do as human beings. To fail is a crucial part of the human experience – and yet, like Eloise McCormack, we often refuse to admit that any failure is possible, as though a lack of success in one area were an indication that our entire lives have been a failure. What happens to a dream deferred? The answer, it seems, is that it simply gets deferred some more. Rather than living our lives in this kind of suspended animation, however, it is far richer for us to come to the realization that life is for living now, that failure is inevitable, necessary, so that even if we do not excel in our chosen field, we can at least learn from our mistakes and say that our lives, as an experiment in living, have been a success.